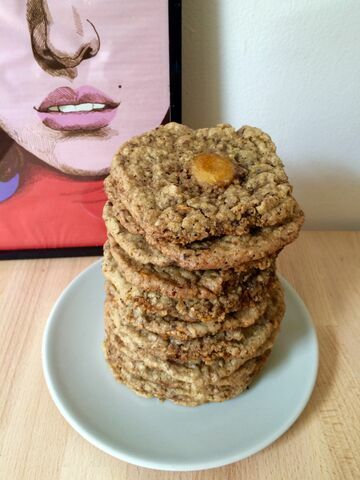 SOIL & SPICE RECIPE NO.2 : Mirabelle and Old-fashioned Oat cookies. 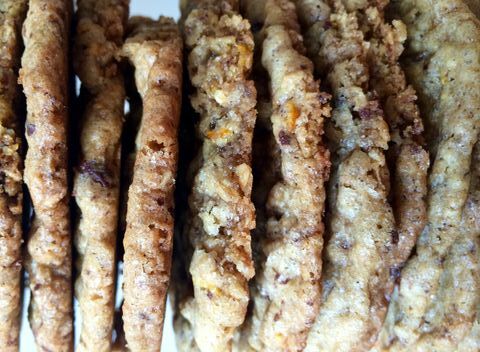 Home baked Cookies are the best air freshener for your house. Fact of life… Just saying. Autumn is well on its way and the Mirabelle seems to seal the deal with its very brief appearance. Every end of August and lasting mostly till mid-September, it would be criminal not to make a home bake using them as the main source of inspiration. For those of you who cannot get hold of this fruit, you can make perfect use of other plum varieties you might find in your country, figs would also be a great substitute. Cookies are an obvious choice for a fuss free bake, they are portable, keep for long and the flavours are so much more concentrated in a cookie then in a conventional cake due to the limited water content, and they do look so gorgeous when they are stacked up ready for full face immersion. 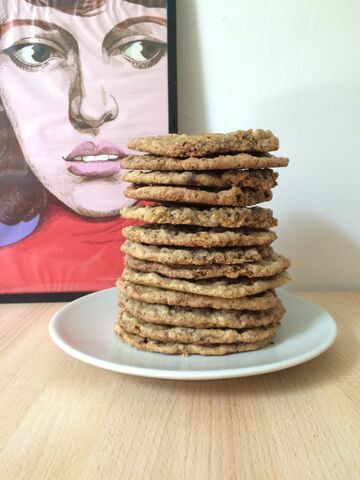 The recipe produces about 24 flawless cookies of 60g each. It is best to chill the cookie dough for at least half an hour before baking. Another suggestion is to measure out each cookie on a kitchen scale so that each cookie is of the same size, this will ensure an even bake, do not flatten out the rolled balls they will open up by themselves in the oven. Lastly I suggest you indulge in some raw cookie dough tasting, it is seriously good and a mood booster of sorts. 10g of raising agent, baking powder with a pinch of salt added to it is enough for the recipe. 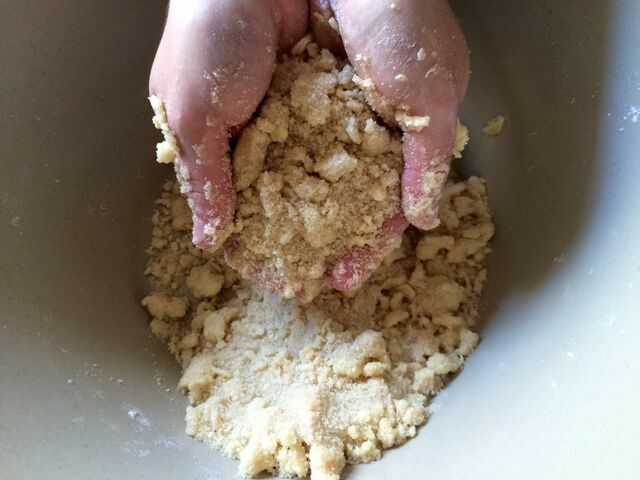 Measure all ingredients precisely, cookies are very unforgiving when the recipe is not followed exactly. 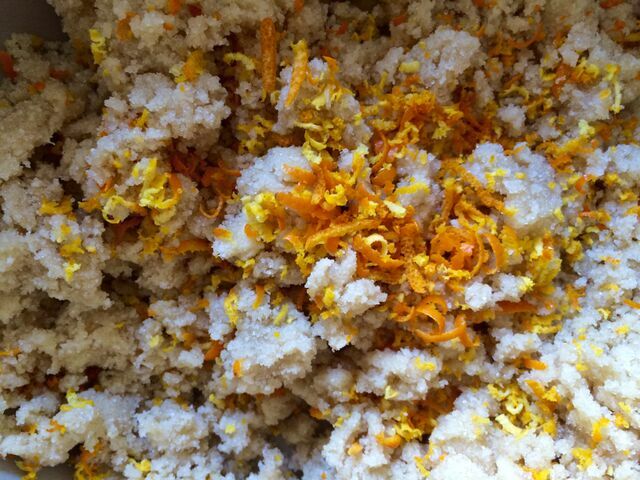 In a large bowl bring together flour and butter as well as the raising agent, then add the sugar and the zest of orange, continue mixing. Add the egg with the vanilla whisked in, and then add the oats. 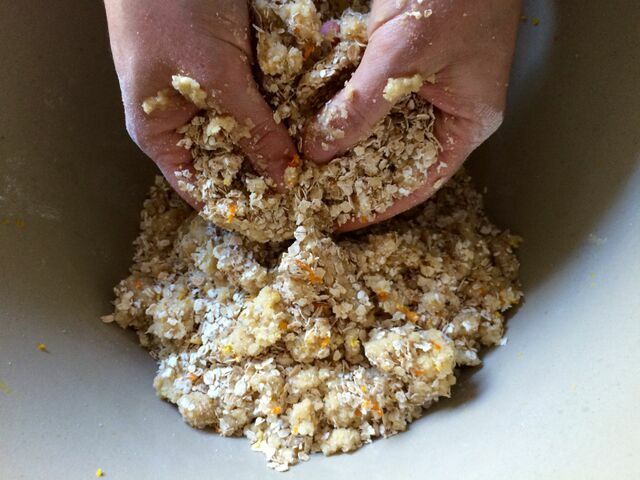 Oats absorb a lot of moisture so as soon as they are added the mixture will gain the correct consistency almost immediately. Use 500g of the Mirabelle chopped inside the dough and leave the remaining 200g of Mirabelle to place on top of the cookie, you will need half a Mirabelle per cookie. Chop the almonds and chocolate into bite size pieces and mix with the rest of the dough. 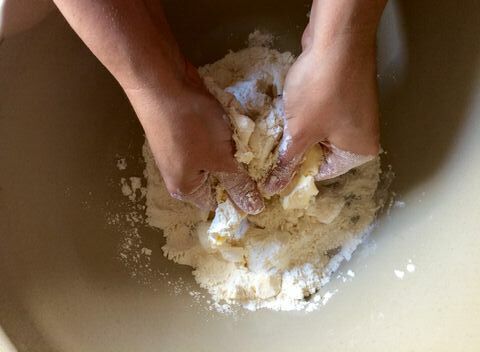 Preheat the oven at 180 degrees, and roll the dough into individual 60g balls, as I told you above do not be tempted to flatten, have faith, they will open by themselves. 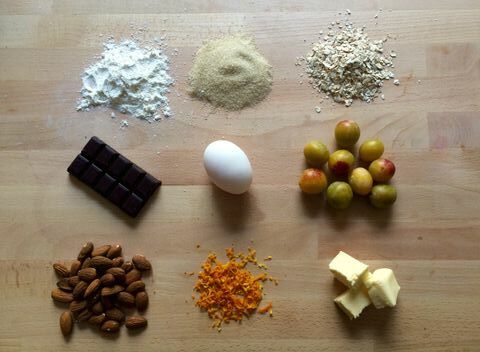 Place half a Mirabelle on top of every cookie, making sure it is inserted at least slightly. 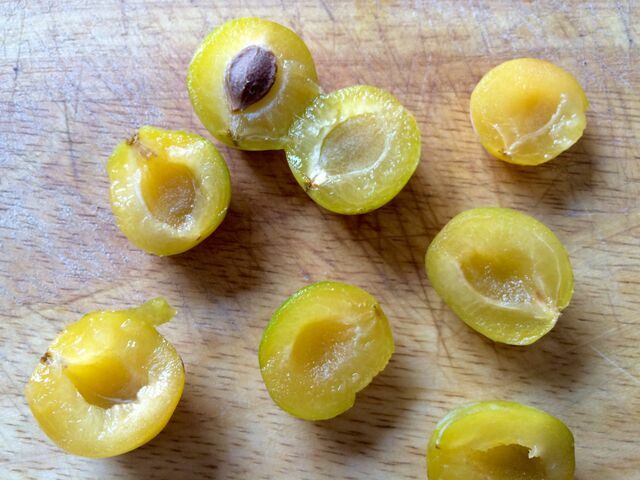 The Mirabelle will caramelize and fuse to the dough below, it will look like stained glass and taste of heaven. Bake for about 15 minutes, remove and let them cool down completely before trying one, they will come out soft but will solidify once cooled.